CSView is a handy and easy-to-use File viewer for viewing, printing and marking up your images and documents. CSView supports a wide variety of formats used for raster images (including multi-page) and vector and hybrid documents (such as CWS and PDF). Controlling layers visibility in drawing improves display performance and simplifies drawing when an unobstructed view is needed. The integrated powerful markup tool that combines creating and customizing of markup objects, using additional markup layers, snapping to vector and raster data, grid with full-featured options, makes this product ideal for drawings red lining. The customizable interface allows tuning panels, creating custom toolbars, saving settings in templates and much more to make your work more effective and convenient. CSView make available maximum flexibility and can be used as a standalone application file viewer or integrated with industry standard file management structures or in any application skilled to contain ActiveX control. CSView is supplied with 2 categories of functionality, starting from CSView Base to CSView. 1. CSView Base – CSView the base product version is for viewing with printing for images and documents. 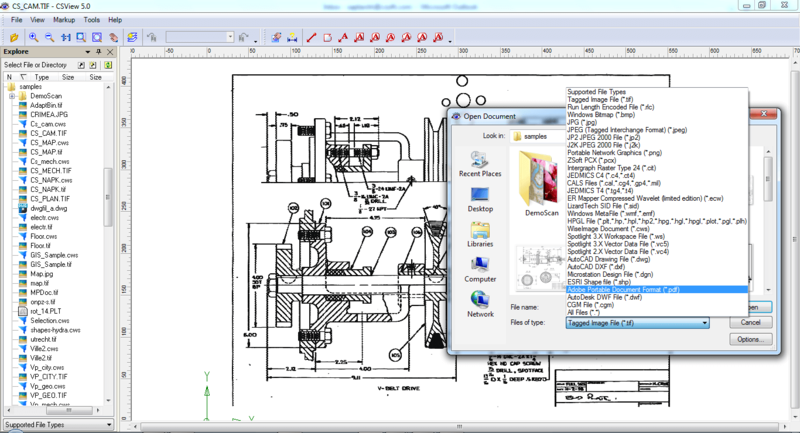 This version can display red lining in documents, but you cannot create and edit it. •	Using extra markup layers. With help of File viewer user can open any type of documents and file formats, comprising of raster images, vector CAD-files, PDF and hybrid (raster-vector) documents. Individual document can be operated with the same set of tools. 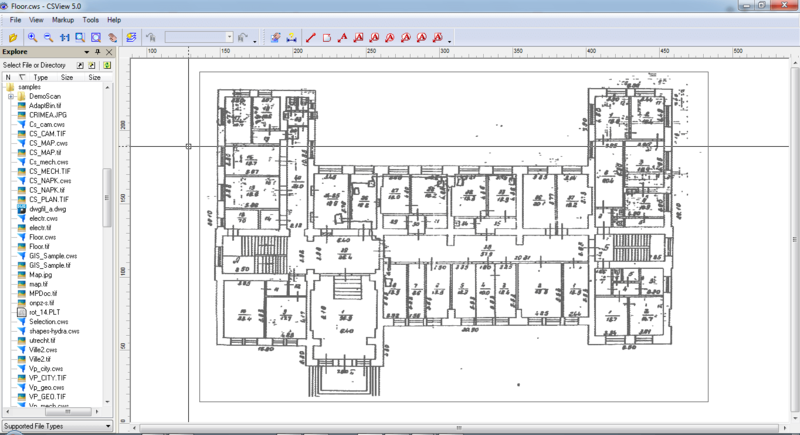 It is conceivable to zoom, pan over the drawing, to control display of layers in layered drawings, like AutoCAD DWG of DXF file, etc. For better quality of color raster images halftone display is applied. CSView can output available files to a printer. A complete print preview with advanced printing parameters setup is offered to check the output settings. It is easy to select what and just how you want to print. 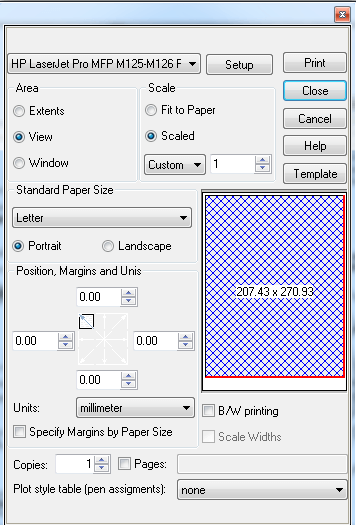 Outcomes can be scaled to the chosen size or automatically resized to fit the offered paper size. Besides - all predefined printing parameters such as printing paper format and orientation, document location on printing paper etc. can be saved as a printing template and use again later. Users of other CSoft products will escalate that CSView has an XP style GUI that they already know. The user can modify the location of application windows, toolbars and menus at will. The powerful customization features agree to add and to customize menus and toolbars. Also it is likely possible to assist accelerator keys with any function of this File Viewer. CSView has a COM-based architecture for optimal speed, performance, stability and security. It can be delivered in two versions ® as a standalone application or as an embedded ActiveX-control application. It is probable to integrate the File Viewer control directly into an industry standard EDM or PDM system or add it into any other application which is skilled of containing ActiveX control objects. Markup is a separate file that is linked to a related document viewer. Markups can be kept on any drive or media, making it offered to other users making it a priceless asset that significantly facilitates communication and collaboration between team members. Any viewable document can be annotated to implement cooperative content creation, change requests, ECOs, and other revision and versioning controls.